I normally don’t mix my business and personal life, but I wanted to share this with you. 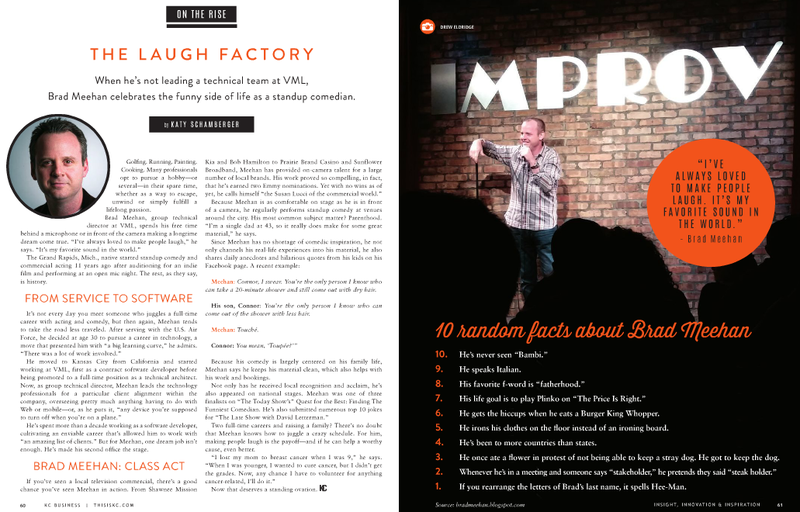 This month, the Kansas City Business Magazine wrote a nice article about me, my work, my comedy career, and my writing. Please take a look! Read the magazine ARTICLE here.